Steak is what's for dinner. 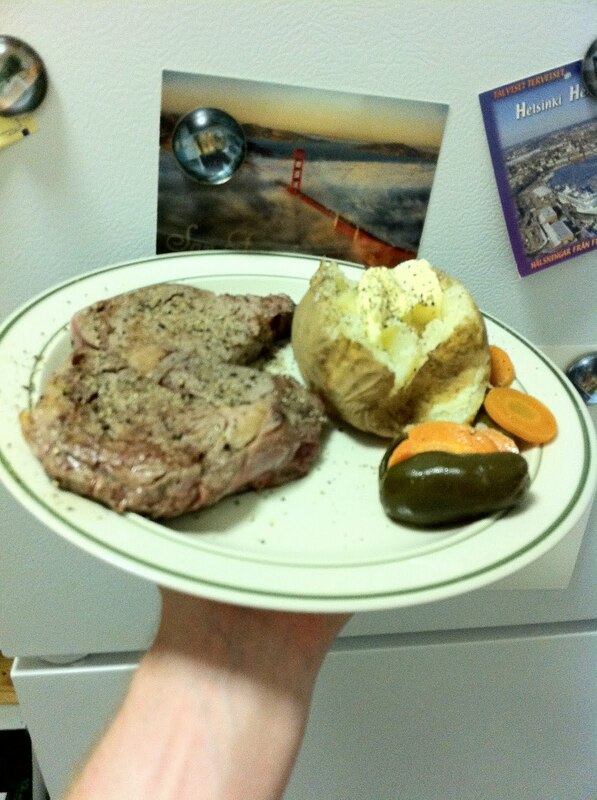 I have always loved steak and have posted plenty here. Here's another simple favourite served with a baked potato and pickled jalapenos. 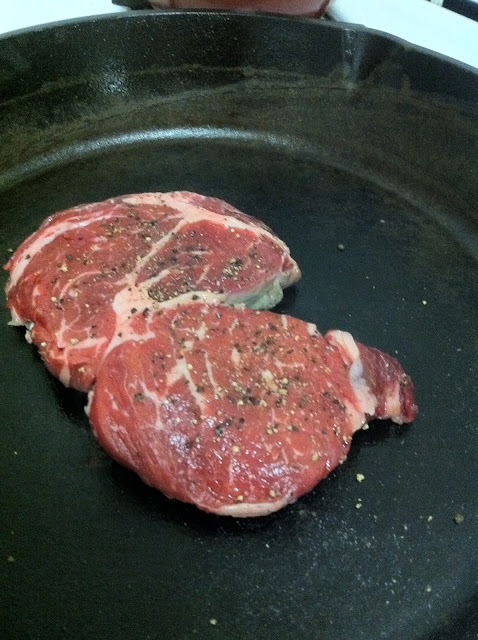 Giving it a nice quick sear in the cast iron skillet. The final product, as always when I make steak, was perfect. I probably don't serve it cooked well enough for restaurant work, but it's got a great sear and very cool, very red centre. Your soundtrack for this entry: Queens of the Stone Age - Make It Witchu.